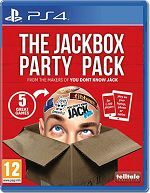 Jack into the Ultimate Collection of Party Games The number one trivia brand of the digital age arrives on an all in-one disc that's the perfect entertainment piece for your next game night or party! Don't be limited by the number of controllers you have! Up to 100 of your friends and family can join the fun using their mobile device: no big mess of controllers needed. 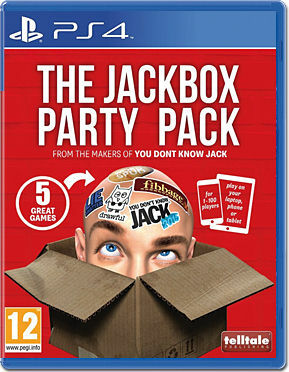 Once your console is connected to the Internet, and the game is started from the main menu, players simply connect to the “jackbox.tv” web address via their mobile device, and enter the 4-letter room code to enter the game. The comedy trivia sensation You don't know Jack 2015 (1-4 players) with hundreds of all-new questions.